My friend Buck Richardson recently took two photos of sleeping birds. This little fellow, probably a honeyeater from Kuranda, Queensland, is all puffed out its head tucked in the feathers on its back. It is perched on one foot. 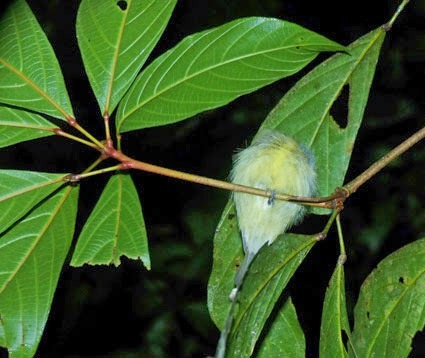 This bird, probably also a honeyeater, was photographed in the Daintree region, north Queensland on one foot with only a small part of a toe visible. So many birds in so many different taxa sleep in this very same way. Why? Is there a reason? Well there could be. With the exception of a small part of the scaly foot, there are no exposed bits of skin ( as around the eye or beak). The head is tucked well within a few layers of feathers. Could this provide protection from hungry mosquitoes thereby reducing the potential for disease. 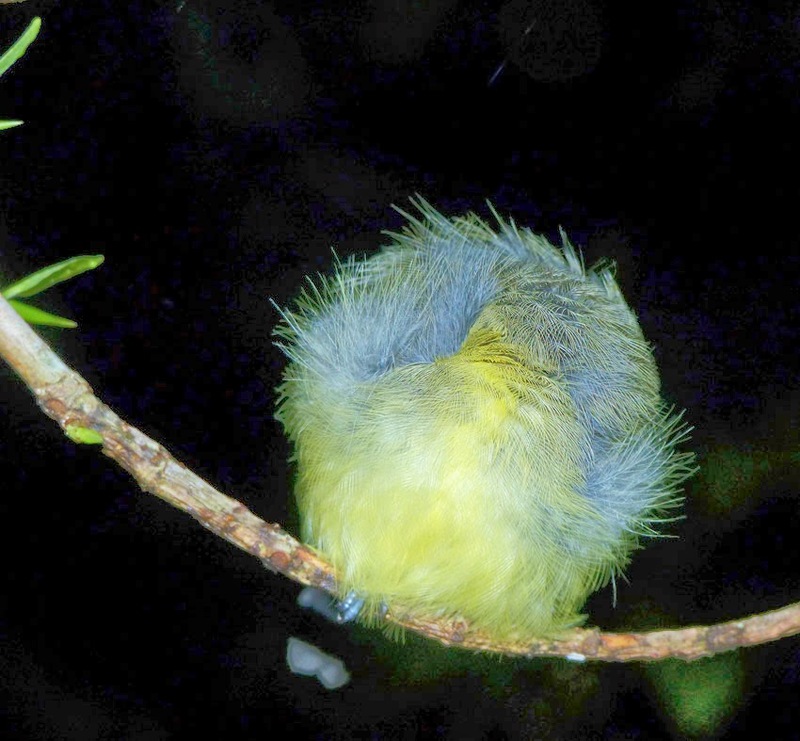 Or is there another reason for so many kinds of birds sleeping just like this?